So you many realise that I’m going to have a strong focus on Style Brief around wellbeing and mental health, particularly menopause-related. It’s a subject that I feel isn’t covered enough, particularly in a more positive light, and so I’m hoping to add my thoughts to this subject in this corner of the internet. 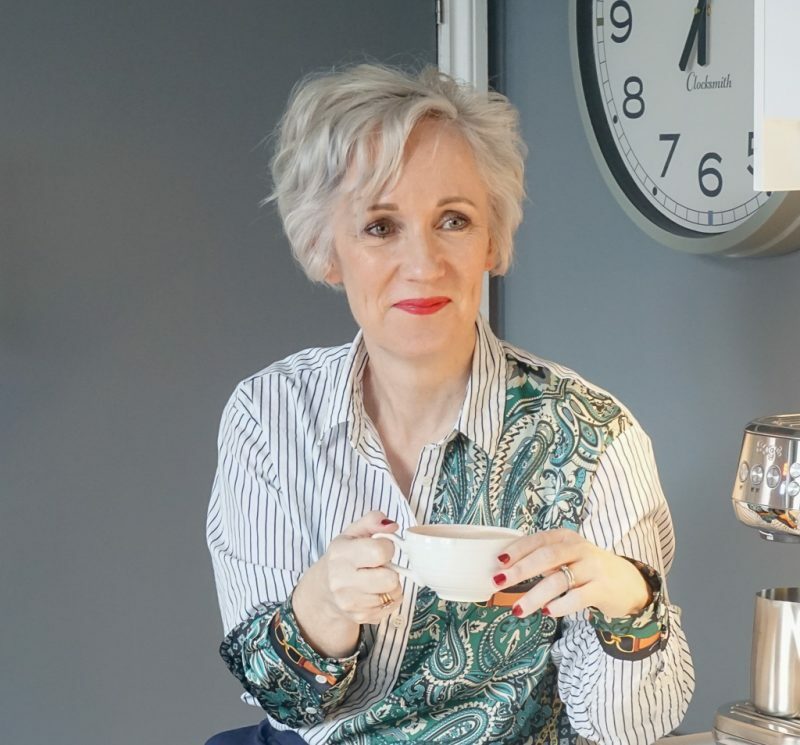 With that in mind I’m thrilled to have teamed up with the fabulous team behind The Big Retreat Wales – a wellbeing festival held in the heart of the Pembrokeshire Coast National Park in May 2019. 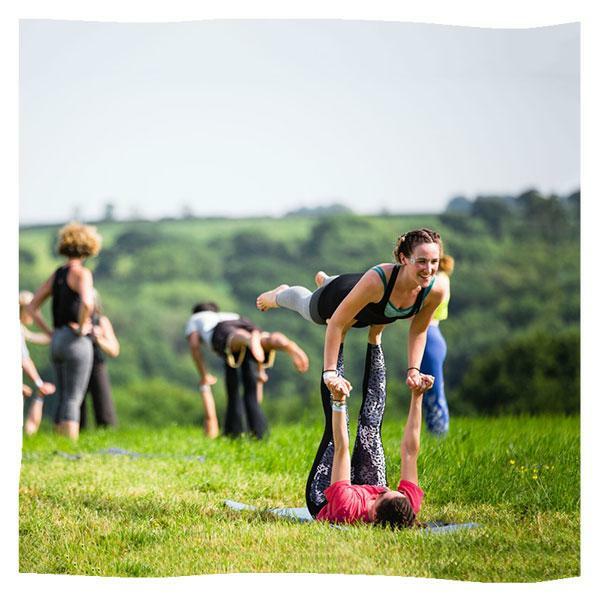 Aimed at women, men and families, the festival focuses on wellbeing and self-care with fitness classes, Yoga, Chef’s and a Talk Tent hosted by Toni Jones, author and creator of the Shelf Help book club. And they’ve given me a lovely prize to offer to one reader – a pack of 2 adult weekend tickets and a 3-night camping pitch worth £338! How cool is that? The festival runs next year from May 24th-27th in the beautiful Pembrokeshire area. You also get a 3 night camping pitch included in the prize. Other accommodation choices are available at the retreat but you’ll need to upgrade and fund them yourself if you’d like an alternative. And so much more! Find out everything you need to know about the Big Retreat HERE. People love The Big Retreat because we’re a small, safe, easy-going and unpretentious festival. We love nature and we want to help and encourage others to enjoy and respect its beauty and its benefits. So guys, do you fancy a weekend away with a friend in a beautiful part of the world, eating great food, socialising and taking care of yourself (don’t forget the gin!)? Simply follow the instructions in the little gadget below. You’ll need to leave a comment on the blog first (answer the question I’ve posed) and then when you’ve done that you get lots of extra chances to win by visiting and following me and The Big Retreat over on social media. I’d take my best mate for some girly time. I’d take my sister as it’s been ages since we’ve had some real quality time together. I’d take my husband for a relaxing weekend away. Went last year and loved it. Oh yes please a weekend off grid with hubby would be lovely. This looks an epic festival , you can’t beat being around nature. id take my friend Kara! we could both do with a retreet from the kids and hubbys so would be fab for us!! I would take my bestie gym buddy with me! We love working out together and trying new classes and gyms so this sounds ideal! I’d take my best friend. She needs a break & to wind down. I’m taking my partner Damian. If I could take my pug Reddington, I would too but I think he needs to stay home for this one. I’d take my boyfriend Jamie because we could both do with a break and get back to nature! This is something my sister and I would absolutely adore to do. It looks so relaxing and there are some things we have done and some new adventures. I would take my sister because she loves any kind of festival! I’m 47 and entered the ‘peri menopause’ 2 years ago, before that I had NEVER heard of it! I agree, it’s a subject we don’t talk about, it’s almost hushed under the table and it’s really scary when it happens. I’m finding my way through it, exercise and diet changes have completely altered my experience and I’m much happier now. But we need to talk open up more and help other women. I would take my partner, he is so un-flexible and also needs some wellbeing in his life. I would take my husband to relax and have fun. I would take my best friend of over 20 years, she would love this! I would take my husband, we have 3 small children and most activities we do are centred around them, would be nice to have some time alone learning something new. I might go by myself for a bit of me time!!! I’d take my best friend for a girly weekend away! I would take my lovely hubby, we’ve got four daughters and have not had the chance to go away on our own yet. This would be a brilliant weekend away for us. I’d take my mum as we could both do with a few days to relax. I would take my family with me, haven’t ever been camping with them. This looks absolutely amazing and I can’t believe I’ve never heard of it! I love Pembrokeshire, it’s so beautiful, I’d take my partner and I’ve been over to the website and under 5s (which is very generous) are free so id also take my gorgeous baby girl who would be one by then. We take her everywhere with us, she’s been van camping like a little angel since she was 6 weeks old, and I’ve been looking for a child friendly festival so this looks perfect. I’d take my daughter, Adeline. My partner because we need to get out more or we’ll turn into hermits. Lovely competition, i’d take my brother. I would love to take my partner as a treat. We both love camping as well. My teenage son – Music education of course! I would take my sister, who’s in need of a break and a refresh. I’m a few years into surgical menopause (I’m 38) and she’s been in peri-menopause for a while (she’s 46). It would be great to get some advice and guidance on how to deal with the effects this has on both our minds and bodies. If I win I’ll take my friend Sarah, it’s been a while since we’ve had a trip awsy together. My best friend. Because after the year we’ve both had we both definitely deserve a little break away to relax! I would take my one of best friend!! I would take my husband; we have just started a fitness & self care regime and having this event to look forward to would help keep us on track.